Our Newsletter Software for enterprises stands for top performance and security. 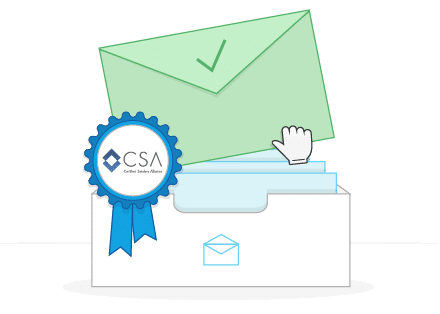 We provide extensive whitelisting with various associations such as ISIPP, Return Path and CSA that ensure high delivery rates of your mailings. Thanks to them we are able to offer delivery rates up to 99,5%. If you send email campaigns via Newsletter2Go’s servers, your emails will be whitelisted. Instead they will be directly delivered to the inbox. Newsletter2Go can satisfy the highest dispatch demands: every single client can send out up to 1 million emails per hour. Therefore, you can reach large mailing lists in no time with our newsletter software for big businesses. 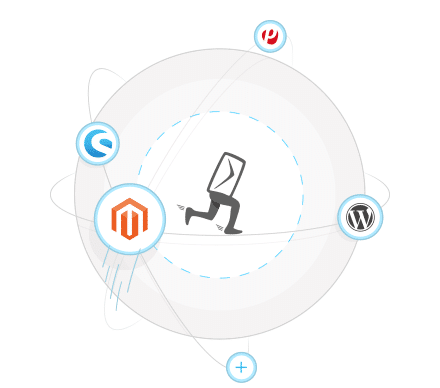 Should you have any questions regarding our software or email marketing in general, you can always contact our customer service free of charge. If you need your own IP for newsletter dispatch, we are happy to provide you with an exclusively dedicated IP for your needs only. It is available for your use only so that you can have 100 percent control over the IP reputation. If you want to go for a dedicated IP, you can use the DMARC authentication in addition. This authentication protocol identifies you as the unique newsletter sender and IP owner. All dedicated IPs are properly warmed up before dispatch and closely monitored. The whole newsletter software for enterprises is designed to comply with the strict European Data Protection Law (European Data Protection Directive 95/46/EC). Newsletter2Go ensures sensitive data handling procedures and we would never sell your data. Our email marketing solution for corporations is working in accordance with the European Data Protection Directive 95/46/EC and German data protection guidelines (BDSG). Our newsletter software for enterprises is equipped with efficient automation functions. It offers extensive automation campaigns that take over such tasks as customer relationship building and lead generation. You can send out both lifecycle campaigns as well as trigger emails based on customer behavior. 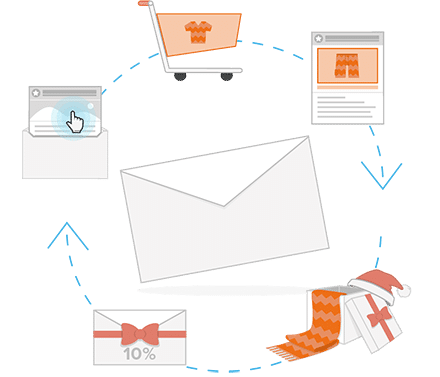 This email marketing solution for corporations enables you to implement complete CRM campaigns automatically. Our REST-API enables you to send out flexible transaction emails directly from your current system. Your recipients will always get the right emails at the right time. Optimize your email marketing with multivariate A/B testing. You can test up to 9 different newsletter versions with this tool. Feel free to test the subject line, sender name, preheader and content. Every single email can be sent out to a selected group of recipients. The most successful combination is automatically selected and sent at a time of your choice. The teamwork function will help you improve your workflow and speed up the approval process. Invite more team members to work on the newsletter with subaccounts. 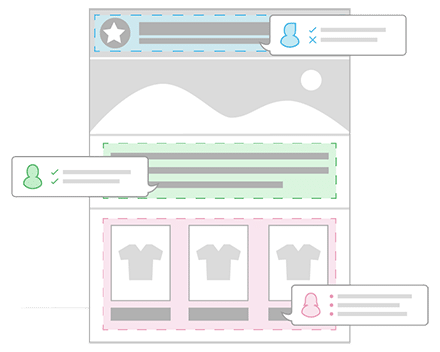 The approval process will accelerate thanks to the test dispatch function which includes a commenting option. Specific newsletter elements can be commented upon in the test email. Finally, explicit approval can be obtained before newsletter dispatch. With Newsletter2Go, you can manage user roles with individual permissions. You can determine which user will be allocated specific permissions. For each role such as analysts, CRM managers, editors and account managers, you can allocate permissions. In each account, an unlimited number of sub-accounts and roles can be created. As you can see, it’s an all-rounded newsletter software for big businesses. However, in case of any questions, you can will always be able to get in touch with the right person in case of any questions. Our technology and agency partners bring their expertise into the partnership and are happy to help you. Whether you have questions about hosting, ecommerce systems, process optimization, IT regulations, marketing or our corporate newsletter software – our partners know what they are doing. As a customer of Newsletter2Go, you will profit from special conditions with our partners.